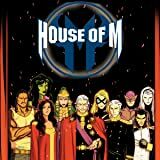 Collects House of M #1-4 (2015), House of M (2005) #1. In the Battleworld zone known as the THE MONARCHY OF M, Lord Magnus and his family control all, having crushed all resistance to their reign. Magneto rules with an iron fist, while his children and grandchildren live their lives as royals — with all the privileges and pitfalls that come with that title. But is Magneto's control as all-encompassing as it seems? And what happens to a conqueror when there's no one left to conquer? As royal intrigue begins to build to a head, Quicksilver and Namor may have something sinister planned for Magneto's kingdom. Is the heir apparent to the House of Magnus a traitor?! 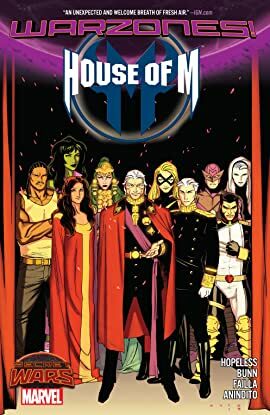 Plus: Look back at the creation of the original House of M as the Avengers and X-Men clash over the fate of the Scarlet Witch!